A new report examines the prospects for lighting controls to 2017. After a long climb out of the recession, IP-based lighting is poised to catalyze building automation. We've talked a good deal about lighting controls and the increasing share of the value that downstream capabilities will add to the SSL ecosystem, prompted by the LEDs Conference last fall. And we have discussed the imminent disruption on tap for the somewhat sleepy building automation industry at the hands of LED lighting with integrated controls. Now a new report from Memoori, "The Lighting Controls Business 2013 to 2017," puts these trends in a historical context and forecasts dollar figures for the controls segment of the SSL business. The founder of Memoori, Jim McHale, outlines some of the conclusions over at Greentech Media. The first point to note is how severely the lighting controls business was set back by the Great Recession, during which new construction essentially came to a standstill. As an example, Memoori calls out Great Britain, where the business peaked in 2007 and tanked over the following 2-plus years to bottom out in 2010. Lighting automation has been on a slow climb out of the depths for the last three years, growing at 4% per year. Memoori expects a growth rate of only around 4.2% through 2016, increasing to 7.5% in 2017 and beyond as the retrofit market opens up. Memoori's report makes the point that we have discussed in the context of Digital Lumens, a company embodying and embracing lighting controls to wring the most savings and the shortest ROI out of commercial LED projects -- that "LED lighting controls could act as a catalyst for the Internet of Things in buildings." Memoori's McHale writes, "With new intelligent lighting networks in place, it is relatively simple to extend [them] to other value-add services," such as HVAC, which has automation on its own that often does not present a compelling ROI, especially in smaller-scale installations. A recent announcement from Greenvity underscores these trends. 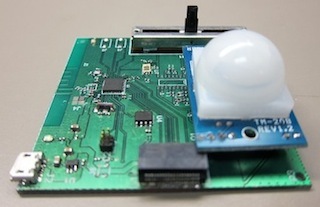 The company has introduced a scalable Internet of Things platform for smart LED lighting. Greenvity is bidding to be the smart infrastructure upon which other companies will build out interconnected control systems for residential and business customers. Greenvity's platform incorporates patented "Hybrii" system-on-chips (SoC), modules, software, and mobile apps that, according to the company, "enable any home device or Internet of Things device to be smart and controllable for energy-saving and home and building automation purposes." The SoCs integrate HomePlug powerline communication and ZigBee wireless. As we move toward an Internet of Things, LED lighting controls will be at the center of the growth and will provide an accelerant to that growth.